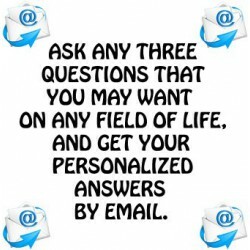 Ask any question(s) of your choice on any field(s) of life, on any pressing issue, or on any important decision(s), and get your answer(s) and expert advice(s) by email to improve your life. Psychic Advice There are 2 products. 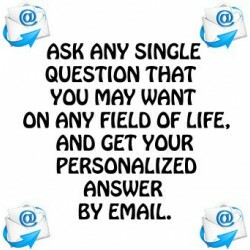 Ask any single question of your choice on any field of life, on any pressing issue, or on any important decision to the best online fortune teller, and get your answer and psychic advice by email. Ask any three questions of your choice on any field of life, on any pressing issue, or on any important decision, to the best online psychic reader, and get your personalized answers and psychic advices by email.